So, what constitutes athletic activities? According to the NCAA, practices, meetings, film study, field practice, and any other form of preparation falls under the 20-hour rule. Games, capped at three hours of activity, also are considered part of the 20-hour rule. Having unlimited practices compared to being limited to 20 hours a week is a massive difference, and even if Urban Meyer and his coaches are giving the OSU players an opportunity to rest after the physical pounding that was the Sugar Bowl, a player can rest and “practice” at the same time. Imagine adhering to the 20-hour rule with a regular schedule, then adding another hour a day for film study — all without having to worry about attending classes or being responsible for academic homework. 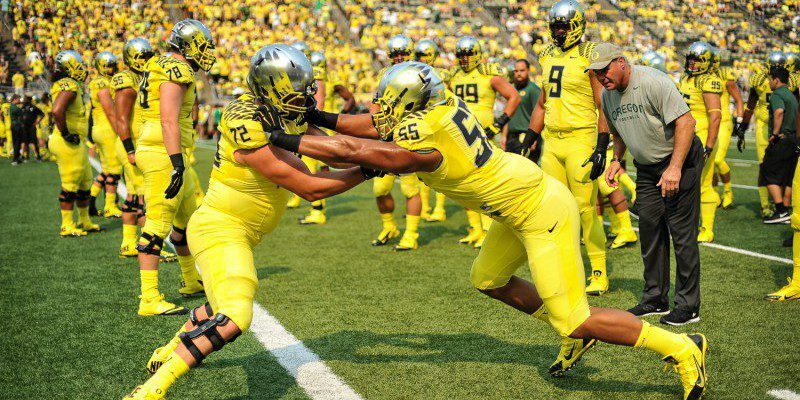 The impact this could have on Ohio State’s preparation versus Oregon’s preparation could be game-altering. Players, instead of being physically pushed in pads, could spend another hour, two hours, three hours doing nothing but game film, strategy, preparation, and all of that would be coupled with not getting hit on the field. When we think of football preparation, players who are true “students of the game,” guys like Russell Wilson, Peyton Manning, and Tom Brady come to mind. “First in, last out” is what every teammate and coach says about those types of players — guys who have what everyone else covets, a Championship. They know that preparation is the key to success, and they sacrifice to get every extra minute of it they can. For a young QB like Cardale Jones, having and extra hour a day in the film room, and an extra hour a day throwing passes to receivers gives back an exponential ROI on every minute spent. 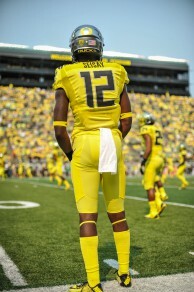 You don’t think the Ducks wouldn’t like to give Chris Seisay the same opportunity to prepare? Absolutely, but they aren’t going to get it. The NCAA was more than happy, and uncharacteristically quick, when it came to outcries of support for the family of players to get financial aid in attending the NCG. Where is the NCAA on the practice schedule? Oregon isn’t throwing a fit publicly, that’s just not how the program operates, but if I’m Oregon AD Rob Mullens, I’m on the phone with Pac-12 Commissioner Larry Scott and the NCAA right now trying to get this rectified. Of course, by the time the NCAA does anything, it will be too little too late. It’s Thursday, and both teams are on their way to Dallas. Any significant addition to the practice schedule would have happened Sunday through Wednesday, and would have been scheduled for Friday and Saturday. Unfortunately, if the outcome of the game is reflected in the unfair advantage one team had in its practice schedule, that is all anyone will talk about, and it could make a sad end of what has been a fantastic first year for the playoffs. Of course, Oregon can make the whole discussion a moot point by doing what they do best — blowing their opponent off the field. I can only imagine what the headlines will look like after a dominating win: “Oregon restricted in practices, still defeats Ohio State in first National Championship win.” Let’s hope the NCAA gets this figured out for next year.